So You Want to Sing Light Opera is a concise handbook for performers, teachers, and directors who want to learn more about the delightful genre of light opera, including Viennese operetta, English comic opera, French opéra bouffe, and Spanish zarzuela. Award-winning opera director and singer Linda Lister brings clarity to this often misunderstood and overlooked category of music with detailed information on how to prepare and perform roles with stylistic and musical sensitivity and to deliver spoken dialogue and choreography with confidence. 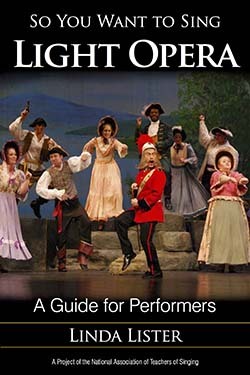 Lister focuses on the attributes of a light opera performer, light opera singing style, historical references, audition advice, directing insights, extensive repertoire recommendations Singing professionals, teachers, students, conductors, stage directors, coaches, and choreographers will find this book to be an ideal resource for the style. The So You Want to Sing series is produced in partnership with the National Association of Teachers of Singing. Like all books in the series, So You Want to Sing Light Opera features online supplemental material on the NATS website.